We have said it time and time again. Mexico is the best place to start a new life for North Americans. But perhaps you’re not looking to “start a new life”. Maybe you’re just looking for a change of scenery or a new lifestyle. Mexico is a country that’s close to home, but it’s a place where you can literally enjoy twice the life at half the price. 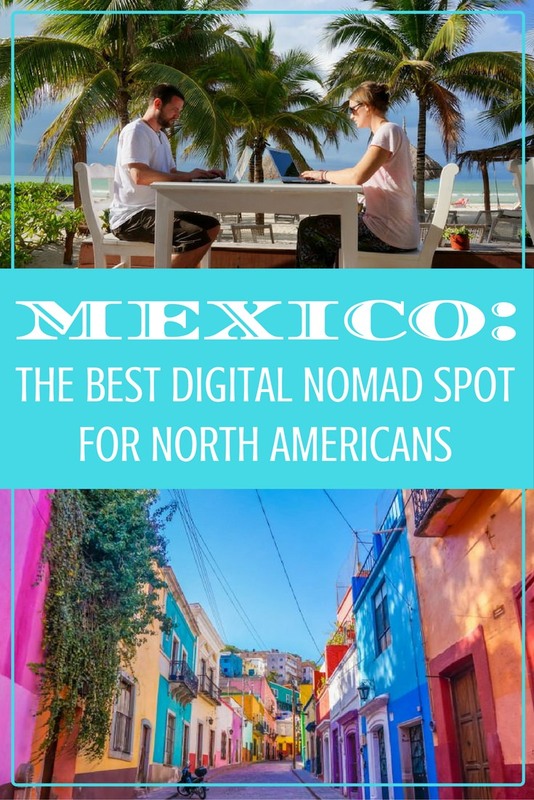 In this article I’m going to explain why Mexico is the best place to consider for aspiring nomadic North Americans and how you can turn your dreams of living on a tropical beach paradise into a reality. 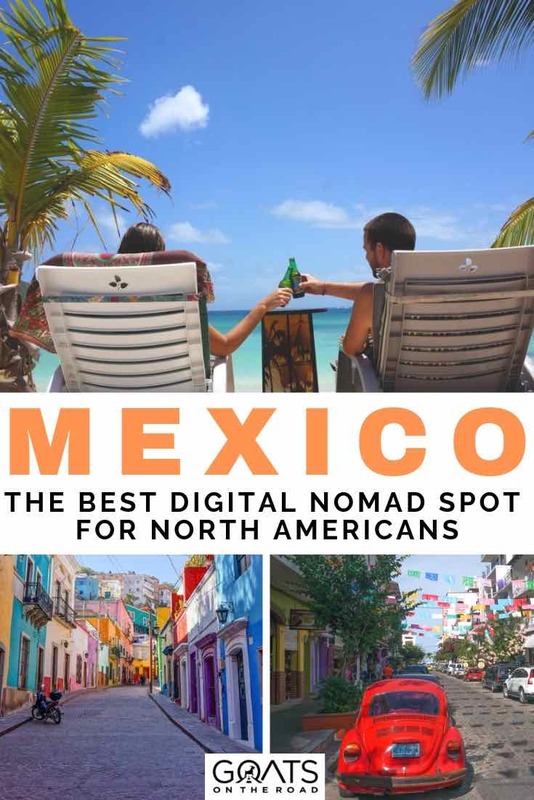 Note: This article is aimed towards digital nomads and travellers looking to live in Mexico, but if you’re a retiree looking to retire down south, many of these points will be valid for you as well. Mexico is one of the most affordable countries we’ve ever travelled to and living there is much cheaper than travelling. We rented a 2 bedroom, 2 level apartment with a full kitchen and a nice patio in San Pancho for just $350 / month in peak season! And accommodation is just the beginning. Mexico is of great value – there’s no denying that. By moving to Mexico, you will literally enjoy twice the life of luxury for half the price. It’s incredible. Every aspect of life in Mexico is a fraction of what it would cost at home in Canada or the United States. Meals in restaurants will only cost you $10 maximum, with many plates coming in under $5. Compare that to Canada and the US where the cheapest meal will likely be $14 plus tips and tax. 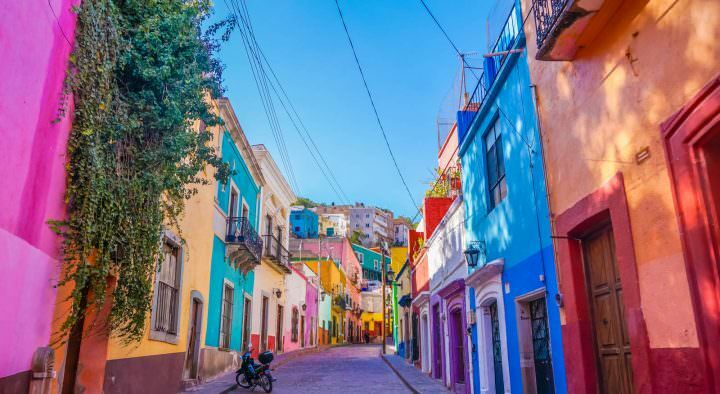 If your mortgage or rent is $1,000 right now, you’ll probably get a place as nice (and much more colourful) in Mexico for $500 / month including wi-fi and bills. Plus you’ll be within walking distance to the beach and you’ll likely have a palm tree growing in your front yard. 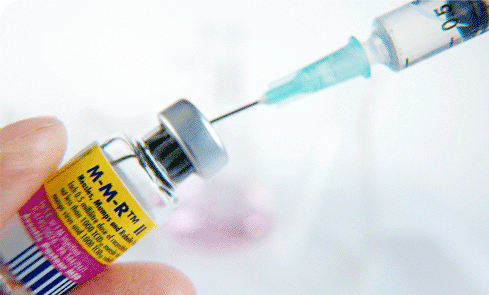 Get rid of your ridiculously expensive medical insurance. For Americans, you’ll probably save thousands of dollars per year on doctor visits and medical insurance just by living in Mexico. Even if you only live there for 6 months / year, you can time your regular check-ups and visits for the time you’re down south so that you can save big money throughout the year (more on costs of medical later in this post). Expect to cut your grocery bills in half as well. Buy delicious fresh prawns right from the fishermen for a fraction of the cost that you would find them at home. Local veggies and fruit are also of great value in Mexico. Beer, wine and hard liquor is also so much cheaper in Mexico. Why do you think so many Americans and Canadians try to pick up Tequilla while they’re south of the border? You can get 750ml bottles for $10. A 6 pack of Coronas for $10 or a nice bottle of wine for $5. Note: The above chart and comparison was created using the global cost of living comparison data from Numbeo.com. The values are in USD based on the exchange rate at the time of writing (September 19, 2016 – $1 USD = 19.54 MXN). Obviously seeing as this article is geared towards digital nomads, solid, reliable and fast wi-fi will definitely play a role in choosing a business locale. While the wifi speed and reliability in Mexico varies greatly from city to city, and even apartment to apartment, there is some good wi-fi to be found around the country. Mexico city is one of the best with download/upload speeds clocking in at 19.5/7.1mbps. Guadalajara is really good at 13.1/3.1 and Oaxaca is satisfactory at 1.2/0.35. 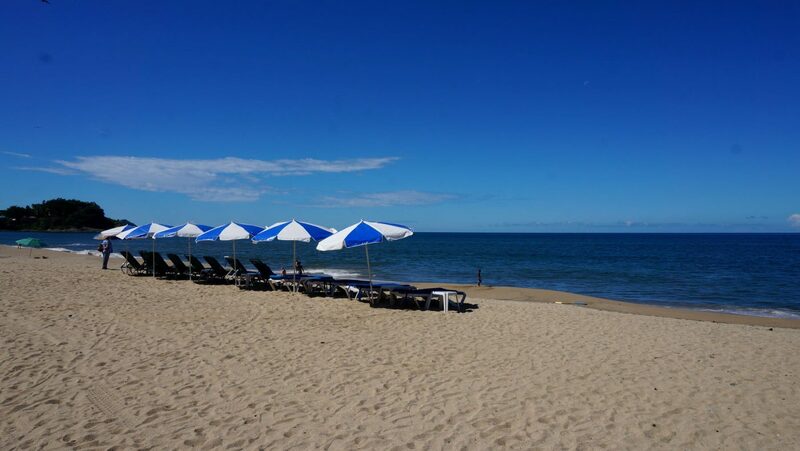 In smaller towns like San Pancho and areas around Puerto Vallarta, you should be able to find apartments, cafes and restaurants with decent, reliable wi-fi. Playa del Carmen even has some really nice co-working spaces with solid connection speeds. If you’ve always wanted to become a digital nomad, you can start a blog today and start saving money at home. Let’s say it will take you 1 year to start earning money from your blog (about how long it took us and many other bloggers we know). You will need to save enough money to live in Mexico for one full year while you build up your online business. You can easily find a cheap studio apartment with good wi-fi in Mexico for $300 / month ($3,600 / year). Your minimum living costs including food and basics will be about $300 / month ($3,600 / year). You’ll then need to save some money for a flight ($300 one-way from Vancouver). That’s only $7,500 you’ll need to save to live in Mexico for one full year. During that year you’ll have plenty of time to create posts, build your social media and gain a loyal following. 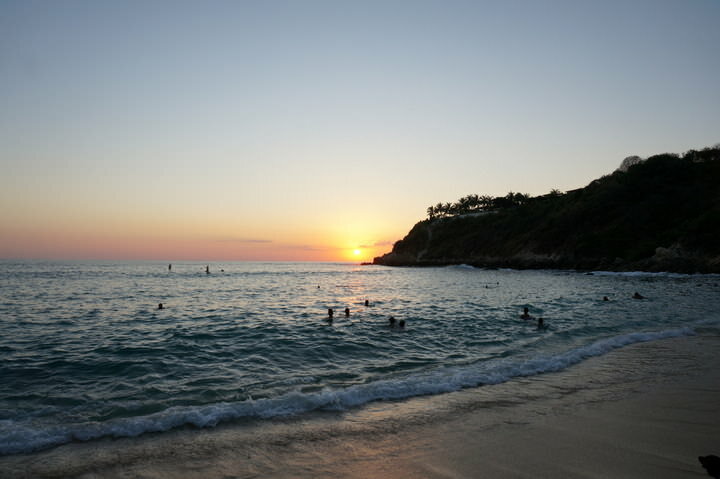 You’ll also have time to drink margaritas, go snorkelling and enjoy all of the amazing things that Mexico has to offer. Think about it! Save $7,500 and you can live in Mexico for a year, $15,000 and you can stay for two years! Amazing. Need help saving money? 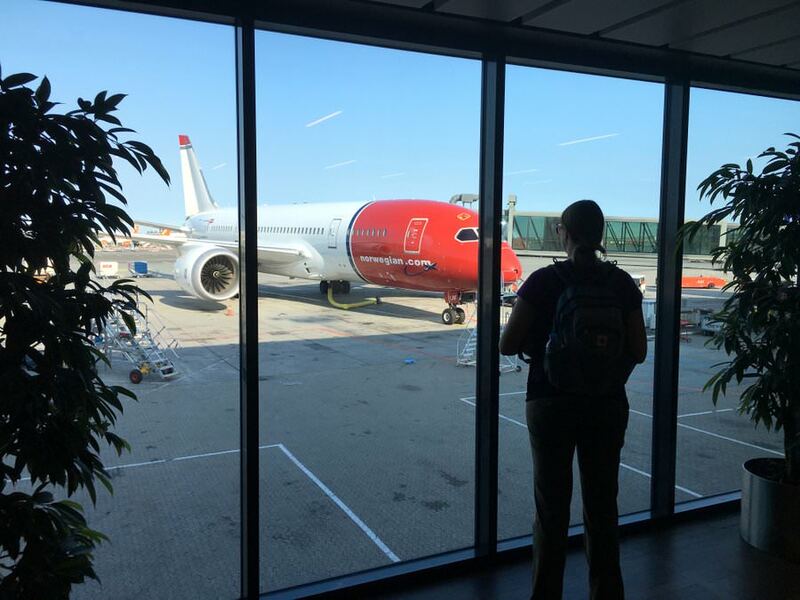 Check out How We Saved $40,000 For Travel and 10 Ways To Save Money and 7 Tips To Save $15,000 For Travel in One Year. Of course, one of the first things you’ll think about when considering a move to Mexico is which part of the country you’ll move to. Some people will tell you that Mexico is unsafe, but that simply isn’t true. Sure there are parts of the country that should be avoided (just like in your home country), but in Mexico they are mainly border towns with known drug trade and banditry. Aside from those places the nation is a very safe place to live. You just need to choose the right area for you! I believe the Pacific coast is the best area of the country to live in. Unless you’re looking for the powdery white sand and resort culture of the far south. Keep in mind that if you do want to live in the Yucatan Peninsula and Mayan Riviera and enjoy the calmer, clearer waters… you’re going to pay a bit more. As there are so many things to do in Playa del Carmen, many digital nomads choose to live there and swear by it. We personally found the city to be too westernized and not very charming, although outside of the main road it’s much better. If you do choose to live down south, one benefit will be that you could meet other bloggers and learn from them. We personally like the Pacific coast more. This area will offer you beautiful (albeit not as white) beaches, cheaper prices, lots of culture and the most beautiful sunsets in the world. We highly recommend Puerto Vallarta and the Riviera Nayarit. 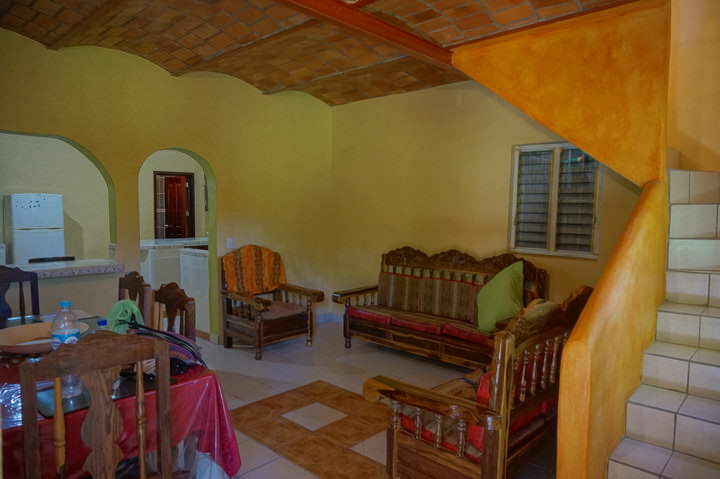 In smaller towns like San Pancho and Sayulita, you can find beautiful 1 bedroom apartments, close to the sea for less than $500 / month ($300 / month for studios). 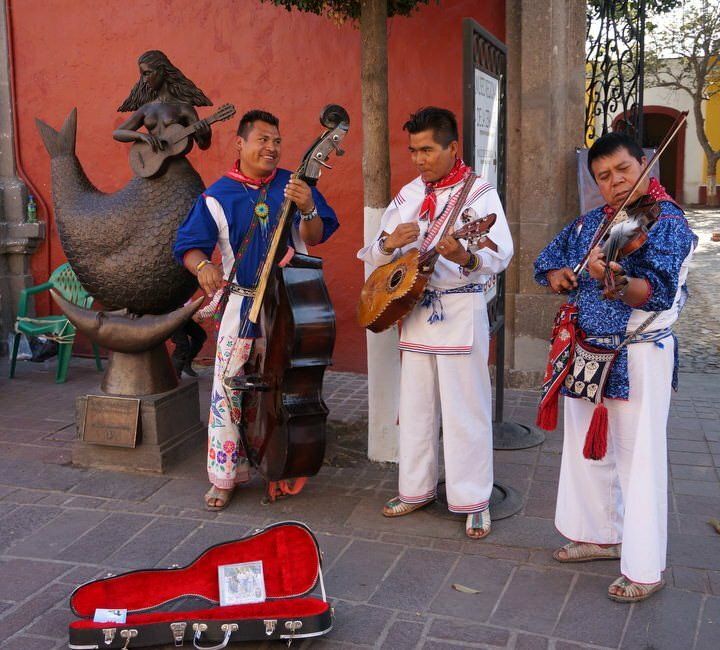 Not to mention, there are numerous fun things to do in Puerto Vallarta. Alternatively, you may consider a place a little further south like Oaxaca. The flight will be longer to get here, but many people claim that Oaxaca is Mexico’s most beautiful state. Small towns on the coast here (like Puerto Escondido) also have some great accommodation options. This is one of the best parts about Mexico and particularly about the area around Puerto Vallarta. It’s so close for us North Americans! If you live in Vancouver or anywhere on the West Coast of Canada, you can get to Puerto Vallarta in 4 hours on a direct flight and it will only cost you around $500 return. If you’re further east, you may want to consider Playa Del Carmen as the flights will be cheaper & shorter. The close proximity to home means that it’s the perfect place for friends and family to come visit. It’s just so easy! It also means that you’ll be able to easily return home for special occasions or emergencies whenever needed. You’ll never feel too far from your loved-ones. For us personally, we used to live in Alberta, Canada and our families mostly lived in British Columbia. If they wanted to come and visit us, it would be a $250 return flight from Kelowna to Calgary, or a 6 hour drive on (what can be) dangerous roads. It would be almost as easy (and nearly the same price) for them to hop on a flight to come visit us in Mexico instead. When we lived in Mexico for 2 months in 2014, that’s exactly what they did! This is a big question for anyone planning to live in a foreign country long-term. For Canadians, we’re used to having free medical and we don’t want to give it up. Don’t worry! If you’re spending 6 months or less / year in Mexico, you don’t have to give it up at all. You can keep your Canadian provincial medical coverage so long as you don’t stay overseas for more than 6 months per year. If you do decide to stay longer, you can always reinstate your medical upon returning to Canada. All you have to do is give your provincial health care provider a call and tell them you’re back and that you’ll be staying for a while. If you’re a Canadian planning to live in Mexico for 6 months per year or less, you can simply purchase emergency medical travel insurance so that you’re covered while living down south. We personally had an insurance plan that only costs us around $1 USD / day and covered us for medical evacuation, emergency hospital visits and more. It’s also worth noting that regular doctor & dentist visits in Mexico (as well as prescription drugs and over-the counter medicines) are a fraction of what they would cost in Canada and the US. Even with Canada’s excellent medical coverage, I would pay more for dental work in Canada (with 100% dental through Manulife insurance) than I paid in Mexico. Weird right? A 20 minute doctor visit in the US can cost upwards of $2000. In Mexico that same visit wouldn’t cost more than $40. Even if you have great health insurance discounts in the US, you’ll still pay more for doctor visits than you would in Mexico. And many Mexican medical professionals went to school in the US anyways! They are highly qualified. For Americans, a big consideration will always be your health insurance. In Mexico, fortunately, there’s IMSS (Instituto Mexicano del Seguro Social, or Mexican Social Security Institute), Mexico’s national health insurance. If you choose to live in Mexico full-time, you can apply for a residence visa (easier to obtain than you may think). Once you have this, a couple can get health insurance coverage—including prescription medicines—through IMSS for a top rate of about $380 a year. That’s right my American friends. Full coverage, for a couple, for just $380 / year (for more info check out this post). As a Canadian, I don’t know much about American medical insurance costs, but when I tell our American readers about the rates in Mexico, they can hardly believe it. You don’t want to be bored when you’re living overseas! Luckily Mexico is so jam-packed full of fun activities that you could fill every hour of your day and have just enough time for a sunset cocktail on the beach to top it all off each day. Surfing: Places like San Pancho and the Oaxaca coast are great places to ride a wave. Golfing: There are some beautiful courses all around the country with many costing less than $20 for 9 holes. Snorkelling: You might as well buy your own gear and head out whenever you please. Fishing: Mexico is famous for having some of the best fishing in the world. The bone fishing in the Yucatan Peninsula is particularly good, but you can find good fishing spots all over the country. Learn Spanish: This should be your top priority when spending time in Mexico. Most Mexicans in the towns that we’ve listed can speak English very well, but they always appreciate a gringo who gives Spanish a go. Cycling: There are lots of great opportunities for cycling in pretty much every town in Mexico. Explore Ancient Ruins: Why not take a day trip to one of the country’s many archaeological sites? Explore Old Spanish Towns: No matter where you live, you’ll never be far from some beautiful Spanish colonial architecture. Eat Your Heart Out: Go on food tours or just indulge in Mexico’s cuisine, which is the only food which UNESCO included in its Intangible Cultural Heritage list. Do Yoga: There are wonderful yoga studios in pretty much every town. Go Hiking: There are some lovely trails around Oaxaca and the Riviera Nayarit. This post wouldn’t be thorough if we didn’t cover some of the downsides of living in Mexico. The Heat: There’s no doubt that Mexico can be hot, but even if you choose to visit in the summer months, there are ways to escape the humidity. Consider a place with air conditioning and do as the locals do, siesta from noon to 3:00. Living close to the beach also helps. Noise: Mexicans love their fireworks and fiestas. They also tend to have some barking dogs that can keep you up late, and roosters that will wake you up early. Our advice is to find an apartment that has noise sealed windows and ask the landlord about dogs and noisy neighbours before moving in. You may even want to ask to rent the place for a night or two before committing to 6 months or a year-long lease. Corruption: You may not be able to trust the policia in parts of Mexico as much as you do in your home country. Just be kind, patient and obey the law. If you’re asked to pay a bribe, you can either dispute it with the officer right there, or just go the easy route and pay it on the spot. We recommend only having a small amount of cash in your wallet when driving in case you are asked to pay a bribe. We can’t stress it enough, Mexico is the perfect place for North American digital nomads or retirees. It’s so much cheaper down south that you can effectively cut your budget in half and live a much better life. Go out for dinners 4 times per week, have a nice apartment near the sea, enjoy year-long sun and golf whenever you want. Eat more seafood than you ever thought possible, learn Spanish and make Mexican friends. This country is full of surprises and you’ll never be bored living here. Enjoy it! I came to Mexico and met my boyfriend here. I have been living here for almost 2 years now and wouldn’t want to change that. I’m neither American nor Canadian but German, but it’s still a lot cheaper. I live in Cancun, so one of the most expensive cities within the country and pay about 140 $ rent in a small studio at the moment. 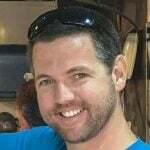 I totally agree with you that it’s a good place to start your digital nomad career. I didn’t start it here but got here after about half a year. I save money without the aim of saving money. I spent money on things I want to do and I eat out a lot and still save as I earn my money in a different currency. I can travel to other countries whenever I want and I am convinced I arrived in a place I want to stay on the long run. The only thing that annoys me is, as you also mentioned, the corruption. I’ve experienced some situations that would definitely not have happened in Germany. That’s a great deal for an apartment! 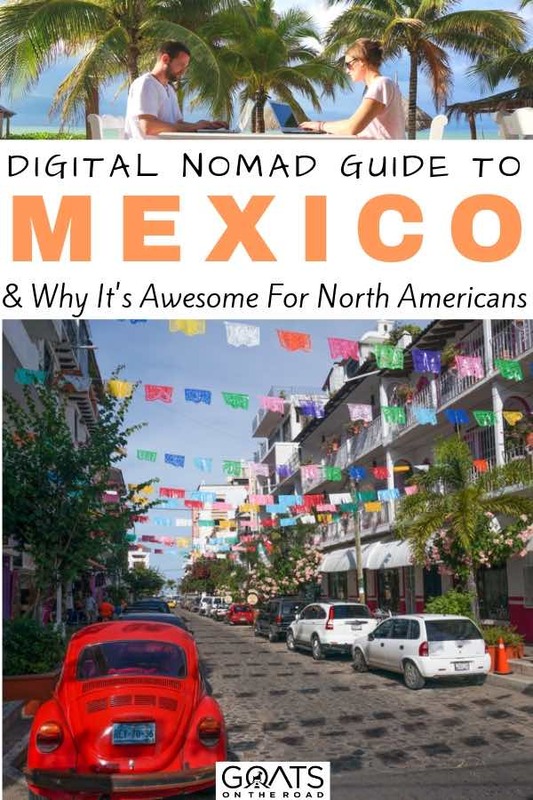 Glad to hear that you’re loving Mexico as a digital nomad, but sorry to hear about the corruption….can I ask for an example / something to be aware of? Cheers! Informative post! The only negatives I’ve read about Mexico as a digital nomad spot is that the internet can be… subpar. What was your guys’ experience like? My caring , sharing, fun -loving Fellow Albertans would never lead you astray.! Just keep Following those ‘Goats On the Road’! I can’t wait to hear their Views of Ecuador & Panama next year! This is an excellent guide! We are currently traveling in Mexico, and are seriously considering moving here semi-permanently (we’re always on the move, so permanence anywhere would be pushing it!) I’m a writer, and the cost of living in Mexico combined with a really high quality of life just can’t be beat. This is a good article but your comments on the US healthcare systems are unfounded. I’m a dual US-Canadian citizen and have never heard of anyone paying over $2,000 for a doctor’s appointment in the US, unless maybe they were seeking cancer treatment. The healthcare system in the US is far from perfect but so is the Canadian system. I live near Seattle, and could easily drive up to Canada for healthcare but prefer not to due to long waiting lists. I have a chronic condition and would probably be dead if I continued to wait for care in Canada. I know fortunate to have good health insurance, but I’m so sick of Canadians constantly bashing the US healthcare system when yours is far from perfect. Yes, you can definitely rent an Airbnb on a tourist visa. Airbnb or local Facebook groups would be your best bet.